FLAMING BRAT ALERT. 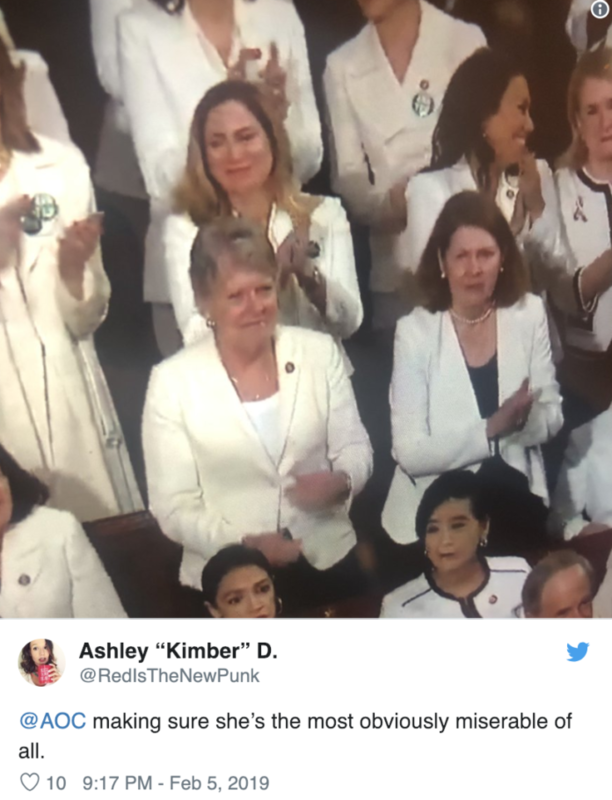 AOC is at the SOTU, and the camera zoomed in on her, and she just sat there in her idiotic white outfit (’cause Trump wants to take our rights away ‘n’ stuff) with a bratty look on her face, because that’s what #resisting looks like. Even Nancy cheers wildly after Trump exorts “cooperation, compromise and the common good”, Democrat Sen. Joe Manchin stands up and applauds. AOC? Stone faced, pouty, bratty. 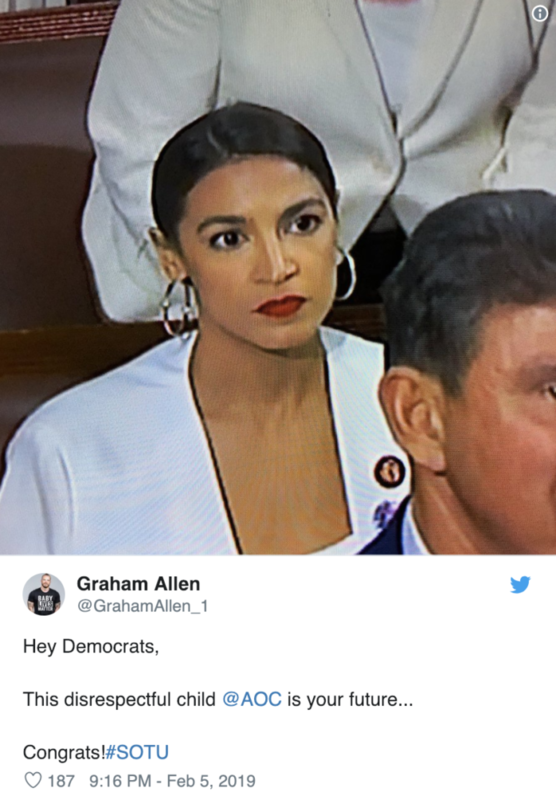 THIS brat is the “future of the Democrat” party, according to many. If that’s true, President Trump is likely to be celebrating in November 2020.